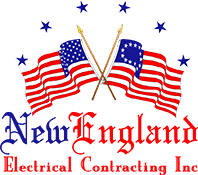 The Risks of Having Outdated Wiring - New England Electrical Contracting, Inc. There are a lot of infrastructural issues homeowners have to take care of over the years—new roofs, carpets, hardwood floors, plumbing and so much more. Many people, however, don’t even consider the wiring of their home, because it’s hidden behind their walls. Homes that are more than 30 years old are very likely to have wiring that simply wasn’t designed to operate with today’s homeowners’ lifestyles. These homes tended to have 60-amp wiring, which isn’t capable of powering multiple appliances and high-powered devices at once, especially considering today’s standard is at least 100 amps. But it’s not just convenience that is at stake when it comes to old wiring in the home—it’s also safety. Older homes were wired with aluminum wiring that came coated in rubber. This rubber can deteriorate over time, and as it does it creates a fire hazard between your walls and insulation. So how do you know if outdated wiring is going to be a problem in your home? Fortunately, there are plenty of warning signs that should give you an indication of wiring problems that will let you know you need to contact a professional electrician in Trumbull, CT. You shouldn’t attempt to fix the wiring yourself unless you have the training necessary to do so—you could end up hurt, or at the very least worsening the problem. Regularly flickering lights: If you see your lights flickering regularly, this could mean your circuits are overloaded or that you’ve got faulty wiring to one of your fixtures. It could also be a sign that the fixtures aren’t getting enough power and you need to update your circuit board. Tripped breakers or blown fuses: A single tripped breaker or blown fuse will happen from time to time, especially if you’re loading up your outlets. But if you experience this problem regularly, it’s likely you need to make some electrical upgrades to your home. Charring at outlets: If you have discolored or charred outlets, this is a sign that there are electrical sparks jumping between wires. You should contact an electrician immediately if you notice this, because this phenomenon is a major fire hazard. Too few outlets: If you simply don’t have enough outlets in rooms around your home, this is a sign that your wiring probably hasn’t been updated, because today’s homes generally have numerous outlets in every room. Electric shocks: If you get shocked when plugging or unplugging an outlet, you should contact an electrician immediately. Wire damage: If you’re working on a separate home improvement project and you notice frayed or otherwise damaged wires, this is a sign that your wiring is old and likely faulty. You should make the necessary arrangements with an electrician to have it looked at and replaced. These are just a few of the signs that you need to update the wiring in your home. Contact an electrician in Trumbull, CT today to avoid the potential risks of faulty wiring!